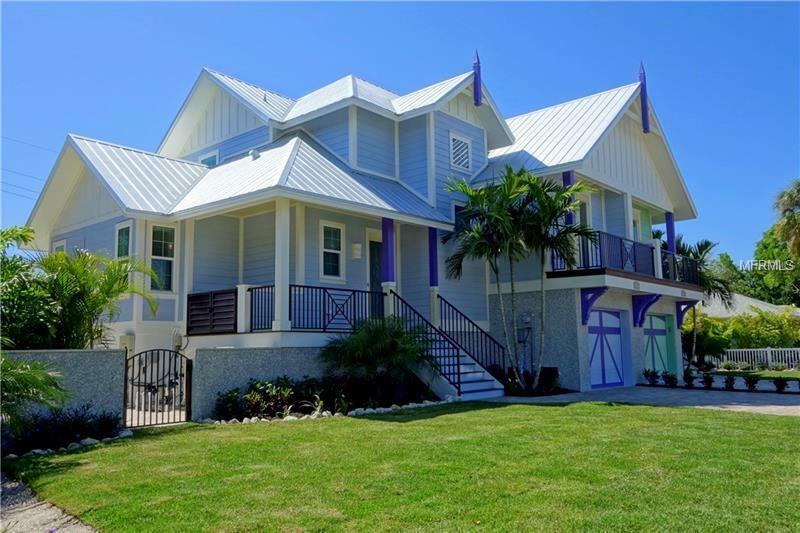 HERE IS YOUR OPPORTUNITY TO OWN A LOW MAINTENANCE / HIGH PERFORMANCE LUXURY VILLA HOME BUILT IN 2016 COMPLETE WITH SWIMMING POOL AND HOT TUB IN HOLMES BEACH ON ANNA MARIA ISLAND. This FULLY FURNISHED HOME includes THREE MASTER SUITES and THREE AND ONE-HALF BATHS. This ELEVATED HOME also features DESIGNER CABINETRY, EXQUISITE GRANITE in the KITCHEN and BATHS, TIMBER ASH PORCELAIN TILE and CUSTOM TRIM THROUGHOUT. PERFROMANCE FEATURES include ENERGY STAR APPLIANCES, VARIABLE SPEED POOL PUMP, FOAM INSULATION, IMPACT WINDOWS, 16 SEER AIR CONDITIONING UNIT and SOLAR PANELS. This home is CENTRALLY LOCATED TO THE WORLD FAMOUS BEACHES OF ANNA MARIA ISLAND, THE FREE TROLLEY STOP, RESTAURANTS AND SHOPPING. COME SEE WHY THIS PROPERTY WILL MAKE A GREAT SECOND HOME OR THE PERFECT INVESTMENT PROPERTY. PLEASE CALL FOR APPOINTMENT TO TOUR THIS HIGH PERFORMANCE LUXURY VILLA. Listing provided courtesy of Island Investment Realty Llc.